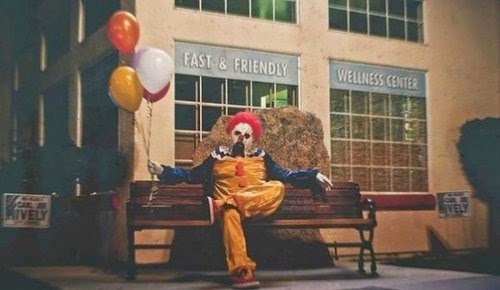 Mr Bru Cru: Wasco Clowns. 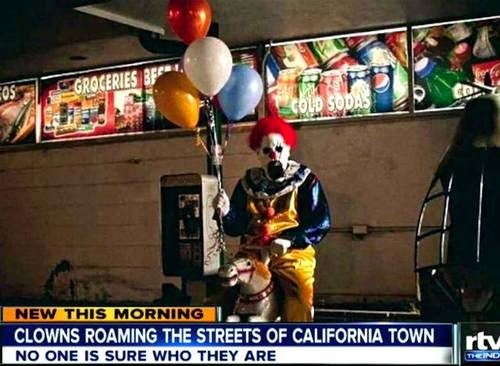 Some dicks over in California are dressing up as clowns and coming out only at night and scaring the crap out of everyone. Needless to say, I'll never visit Los Angeles during Halloween time. 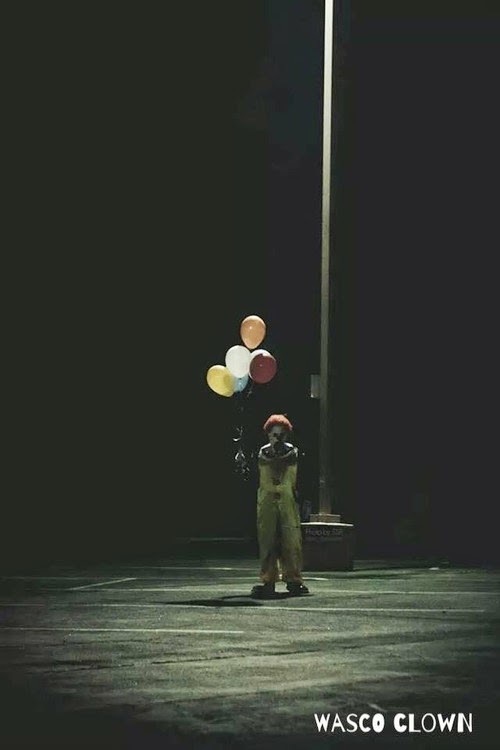 I am terrified of clowns. They even have their own Instagram page for it. Check them out here.